Within Ruritan there are many different classifications of membership. 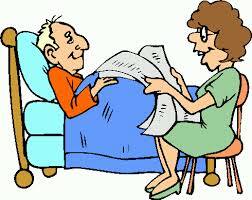 Within the classifications you can have adult membership or youth membership. 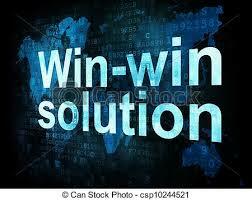 In one classification you can even have a business membership. It can get confusing at times! So I hope to help clear up the confusion with this post. I am referencing the newest (rev 8/14) Ruritan Club and District Officers’ Handbook that discusses the guidelines for membership. A copy of the Handbook can be found on the Ruritan National’s Website if you search for it, or you can find it easily on the Rapidan’s District website as a link on the right hand side of the web page, or by clicking right here. Starting on page 52 of the Handbook there is a chart that shows the different membership classifications, and specific details of those different categories. I will not go over every one of those details, you would probably fall asleep! I will touch on a few highlights, and you can review the rest at your convenience. Along the left side of the page are different scenarios (Dues, Attendance, and Club Participation) that might apply, and then you can follow the chart across to see the different answers to the scenarios for the different types of members. In nutshell, the Active regular members are the only ones with attendance requirements. 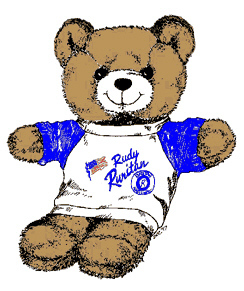 The Adult Active members are the only ones that pay full dues to National Ruritan, the District, and their local clubs. Every other membership type pays a different amount for dues. I mentioned Ruritan Forever memberships, and on page 54 of the Handbook you can see information, and an application form for the Ruritan Forever membership. These members have either paid a lump sum of $600 to Ruritan National out of their own pocket, or someone paid it for them as a gift. From that point forward they only have to pay District Dues and Local Club dues if they remain active members. If they change their membership to a type that only pays National Dues, then they don’t have to pay any dues ever again. Leave of Absence or At Large Members are not required to attend meetings, and they all count towards the charter strength of a club. 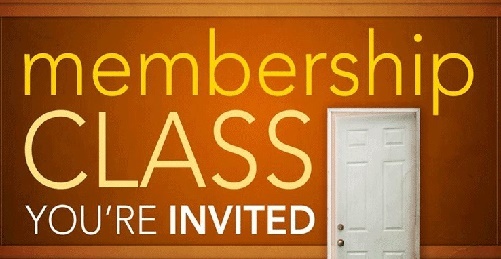 This would be the perfect Membership for students who are going away to college, members that are going away on military duty, members who are moving to another area that may not have a Ruritan Club, or members that are experiencing a temporary issue that affects their ability to attend meetings. At this point I need to discuss Youth Members. According to the Handbook, on page 118, titled “Bylaws of Ruritan National” in the left column, Section 3 subsection E. Defines Youth members: “Youth members will be age 19 and under and shall be active, honorary, or associate members of adult clubs.” I want to point out that some people think that means that on their 18th or 19th birthday they are no longer youth members, but the reality is that they are officially youth members until their 20th birthday. If you find any brochures or publications that indicate that youth members are “under 19” they are outdated and should read “19 and under.” I have discussed this with Ruritan National, and they are in agreement with me on this interpretation. Youth members only pay $15 per year total, and all of that money goes to National. 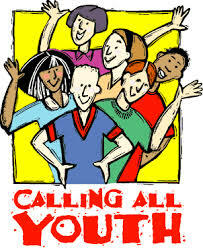 Youth do NOT pay District or Local Club dues. That is per page 89 “Note 3” that says “youth members only pay $15 annual Ruritan National Dues.” I have discussed that with Ruritan National as well, and they are in agreement that they do NOT PAY District or Local club dues, only National. The $15 per year can be paid in quarterly increments of $3.75 per quarter. And to make things even more complex, on page 68 there is an explanation of the “Ruritan Student Program” that explains that the local club can invite two students to join the club, and the club can pay the initiation fee and dues for one year for those two students. We are not even going to talk about Ruri-Teens in this post – that is a special type of Ruritan Club. Honorary Membership is the perfect membership option for our elderly members who have found it difficult to attend meetings and help out with our activities. Maybe they are now confined to wheel chairs, or in nursing homes! We don’t want to kick these valued members to the curb, do we? 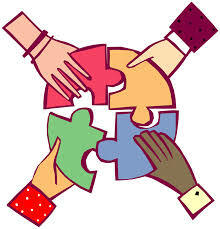 Associate Members can be individual people, or they can be a business/organization. The biggest differences between an individual Associate Member and an Active Member is that an Associate Member does not get to vote on any issues, and that the Active Members have to attend meetings in order to remain a member in good standing. An Active Member has to attend or make-up at least one meeting or function per quarter of any local club, or District Meeting, or National meeting. The “Make-up” event must be attended within 30 days before or after the missed local club meeting in order to be valid. Those guidelines can be found in the back of the Handbook, in the National and local club By-Laws on page 126 under Article IX. Attendance, Section A and Section B. Of particular importance is to realize that the member does not have to attend ANY of their OWN club meetings if they have appropriate Make-Up meetings. Associate Members are requested to help out (as much as possible) at club events, such as trash-pick-up, fund-raising activities. If an Associate Member is unable to help out with these things, it would be appropriate to consider changing the Membership type to Leave of Absence/At Large, or Honorary. Of important note here is that only 25% of the required 16 members (towards charter strength) may be Associate members! So that means that only 4 Associate members can be counted towards the charter strength of the club! If the club has 16 members, and 5 or more of those members are Associates, then the club is officially below charter strength! Businesses can join Ruritan Clubs as Associate Members. Businesses would be a valuable addition to any Ruritan Club. They can donate supplies and resources to our club’s events, and help with printing and publicity concerns. When they join a club they are given their choice of a wall plaque or a window static for them to display in their place of business. This is great publicity for our Ruritan Clubs! Note: When going through the Handbook last year, I noticed that the Official Invitation to Membership had been revised and that an omission was problematic for the Business applicant. The Business is supposed to indicate that they want either a wall plaque or window static, and the Official Invitation does not provide them with the opportunity to do that. This wall plaque or window static is supposed to be provided by National at no cost to the local clubs. So I have created a revised Invitation that provides them with the option to choose. I have sent a copy of that Revised Invitation to National with the suggestion that they use it. If you recruit a Business Member between now and the time a revised Invitation is provided, I would encourage you to ask the Business Member which they want, the wall plaque or the window static, and hand-write it on the application. Once the member has been approved and pays their dues, call Ruritan National Supply and order the wall plaque or window static. And if you already have Business Members that never got a plaque or window static, please ask that member what they want, and then call Ruritan National Supply and order one – Ruritan National pays for it – the local club does NOT pay for it! I would like to encourage everyone that is interested in keeping up-to-date on Ruritan news that effects the Rapidan District to subscribe to this website. If you subscribe to it, you will get new posts via email so you won’t have to keep going back to the website to see if anything new is happening. And I would like to take this opportunity to ask all of the clubs to send me notices of their club’s upcoming events and press releases about what is going on in each club so I can be putting those on the website to help promote your clubs! As we look to the future of our Ruritan Clubs, we would be well advised to take a hard look at our recruiting practices and consider inviting a wider variety of community members to join with us in our endeavors to continue providing community service to our local areas. I believe that with careful research, you may find a lot more people that have a skill or talent that can benefit our clubs mission of fellowship, goodwill, and community service! If our clubs are to continue to exist, it is essential that we diversify our ranks. 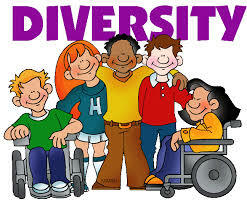 I realize that change can be challenging, but diversity is our friend! How Does a Business Member Benefit a Community Service Club like the Ruritans? Please note, images used in this post are, to the best of our knowledge, “Free Clip Art.” No copyright infringement is intended. If you own the rights to any of these images, we would be glad to, upon notification by you, either remove the image, or give you proper credit on the website. Simply contact the webmaster to let us know of the conflict. In this day and age, more businesses are feeling the call of corporate leadership, and are looking for ways to support the local community. 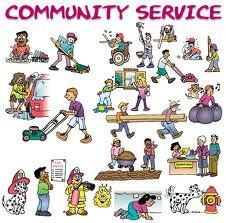 One way they can do that is by joining local community service organizations, such as the Ruritan Club. 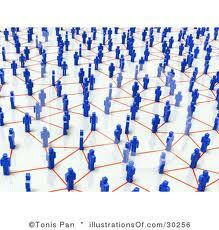 Having a business member helps increase public awareness of a club’s existence. When a business member receives the membership plaque or window cling from the club, the business might display the plaque on their wall, window, or door, in a public space. 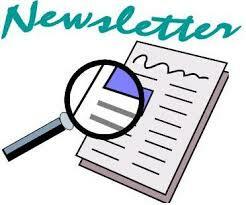 Often businesses have newsletters that they distribute among their customers/employees. They like to include stories in their newsletters about how they are “giving back” to the community by joining local community service clubs. If they join our club, chances are that they will publish a story about it in their newsletter. If they have a website and/or facebook page, they will likely include a mention about their membership with our club on that media as well. After all, those stories make their companies look like good corporate citizens. And, those stories will help to publicize our club at the same time. Having a business member will increase our membership numbers, making us look good for National. That’s always a good thing! 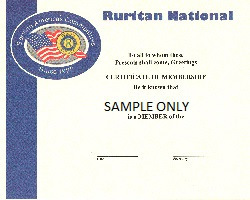 A business membership in the Ruritan Club is a form of Associate Membership. Clubs get rebates from National on the dues that an Associate pays to Ruritan! A business member will not interfere with the internal workings of the club, as they have no voting rights, and cannot serve on the board of directors. However, they may attend our meetings and be part of our “Fellowship” any time they wish. Putting all of that information on our promotional materials helps potential members to see us as a worthwhile club. After all, if these businesses have joined our club, then we must be a good club, right? This will encourage potential members (both business and personal) to join us, as we have the endorsements of these respected business members of our community. More “Fellowship” ensues. There really is no down-side to having business members in our club. The more business members our club has, the better. More money goes to National Ruritan to help with all of the good work Ruritan does, and the local endorsement we get from the business members is priceless. A business membership in a community service club such as our Ruritan Club is a win-win situation for everyone. 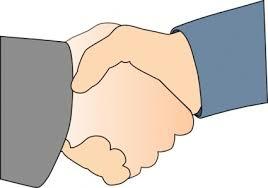 Actively recruiting business members will help the club to grow and thrive, and supports our slogan “Fellowship, Goodwill, and Community Service” in every way possible. Need new members? 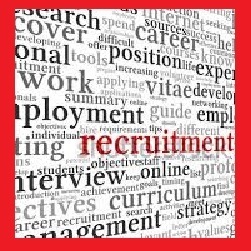 Consider recruiting your local businesses! Does your club have any business members? If not, your club may be missing out on some great opportunities to improve their membership, publicity, and community service! 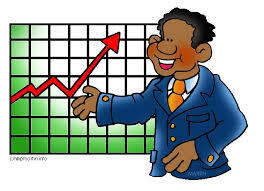 There is an informative post about the benefits of business members that makes some worthwhile points to consider. The article can be read on this page. If you want to read the articles, you can click on the hyperlink in the previous sentence to be taken to the appropriate page. I’d like to encourage all of the Ruritan Clubs to consider the benefits of inviting local businesses to join their Ruritan club. Business members can be a valuable resource to Ruritan clubs.